You may think that every half marathon is the same no matter where you go. I am finding that races can be as unique as snowflakes. The last two races that I have run illustrate how true this is. A few weeks ago I went to Carnation, Washington (just outside Seattle) to run the Beat the Blerch Half Marathon. The Blerch race was inspired by a piece Matthew Inman wrote about running on his humor website, the Oatmeal. The Oatmeal showcases Matthew’s absurd commentary on a wide variety of topics including cats, dogs, technology, and grammar to name a few. Humor is a big part of the Beat the Blerch race too. When I discovered Beat the Blerch, I knew it was the race I wanted to run in Washington. Runners are encouraged to run for a PW [Personal Worst] in the Blerch. Since I was coming back from my broken toe, I knew I wouldn’t be running very fast. The Blerch was perfect for me. Maple syrup or chocolate sauce shot? The race seemed to encourage eating bad food. We got fun Blerch merchandise in our goodie bag along with an assortment of candy. Most races have healthy food at the start line, at aid stations along the course and at the finish line, things like bananas, oranges and bagels. Not so at this race. Runners could participate in donut eating contests while they waited for the start. A man dressed as a Blerch walked around handing out shots of maple syrup and chocolate sauce to runners who might have missed their pre-race breakfast. And if anyone needed a last hit of sugar in the minutes right before the race started, he tossed fist-sized marshmallows into the crowd of runners. There were Nutella sandwiches and cake at the aid stations. For any runners crashing from their sugar high, couches were placed along the course to sit down and rest. Adding to the fun atmosphere were people dressed in some of the craziest costumes I have ever seen including a woman runner dressed up as a can of Spam and more than one person in a Blerch costume chasing the runners. At the finish there was even more cake. I have to confess – the cake was so good that I had two pieces. 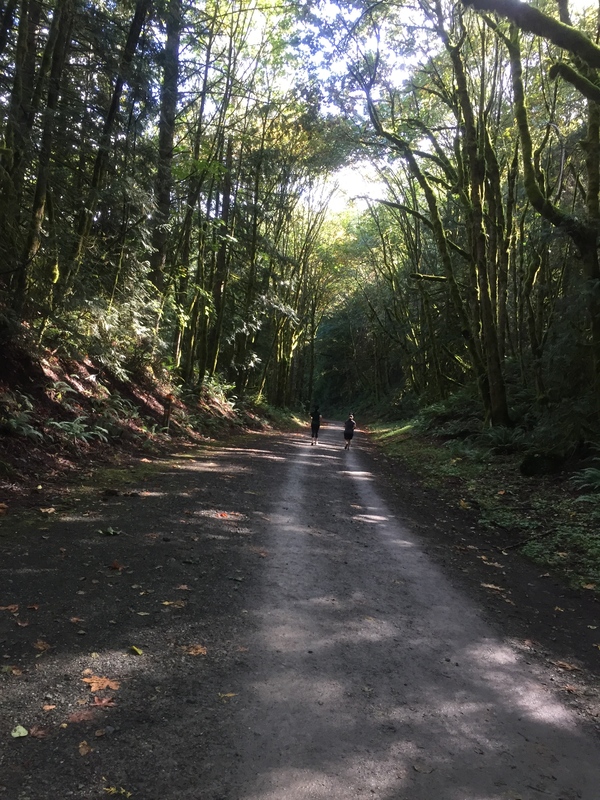 The course took us along the Snoqualmie Valley trail, through evergreen and mossy forests where I expected to see leprechauns pop up among the ferns. There were signs warning us of mountain lions and bears but the only “wild animal” I saw was a person dressed as a Sasquatch (Big Foot). Of all the races that I have run, I have to say that the Beat the Blerch was the most fun as well as the most scenic. This past weekend I traveled to Hampton, New Hampshire to run the Smuttynose Half Marathon, a race that was totally different. 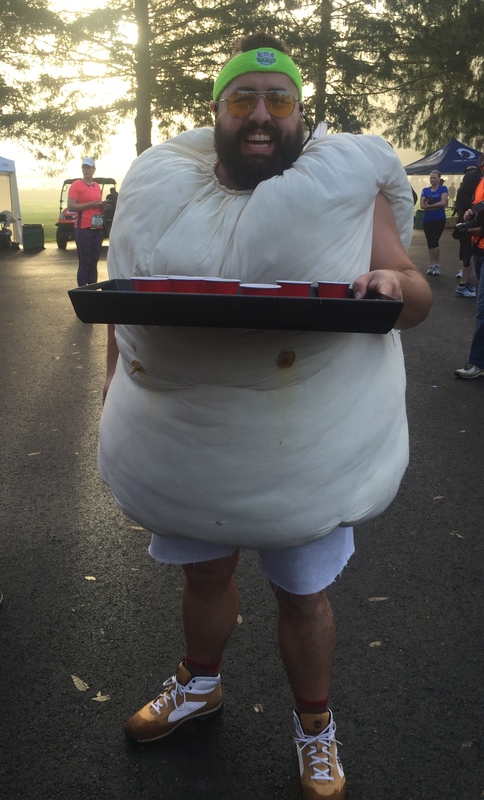 There weren’t any runners dressed in crazy costumes and no efforts were made to elevate our glucose levels to near diabetic coma levels before we started the race. 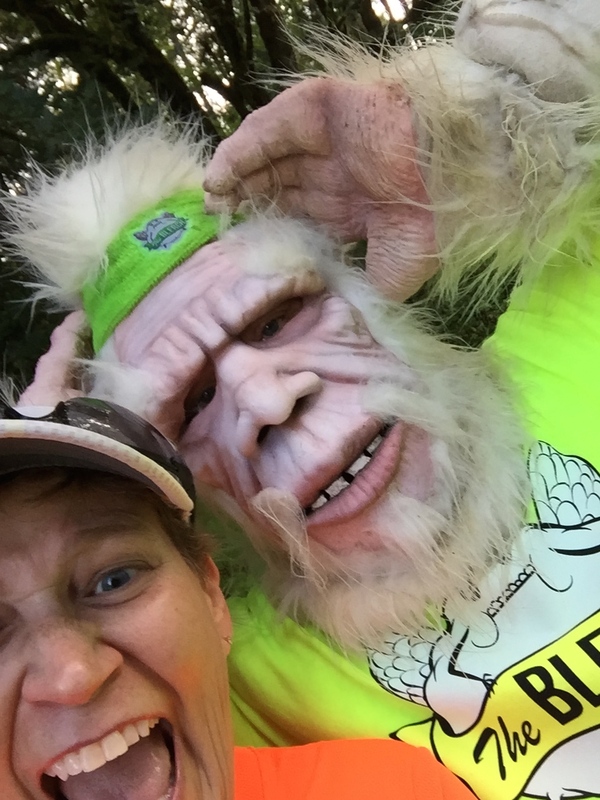 There weren’t any couches or Sasquatches along the course. Although it was windy and wet, running along the coast offered incredible views of surfers brave enough to venture out on their boards. When we finished the race, runners were treated to Smuttynose beer, New England clam chowder, and lobster rolls. Next to the Blerch cake, it was the best post-race food I have ever enjoyed. 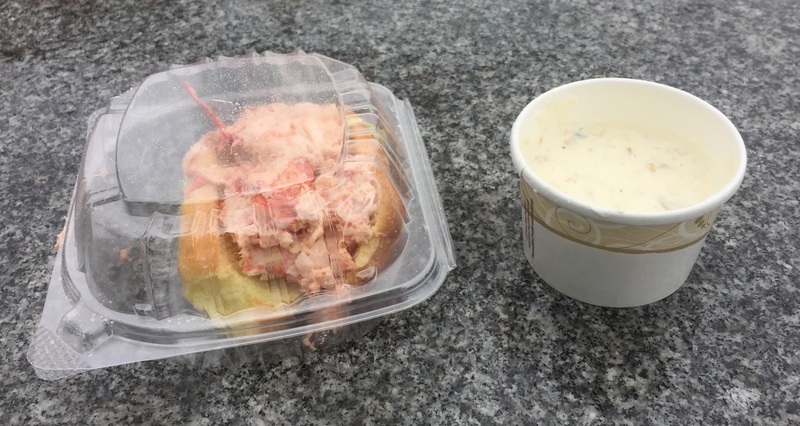 Lobster roll and clam chowder – Yum! Although the Beat the Blerch Half and the Smuttynose Half were two very different races, they also had similarities. 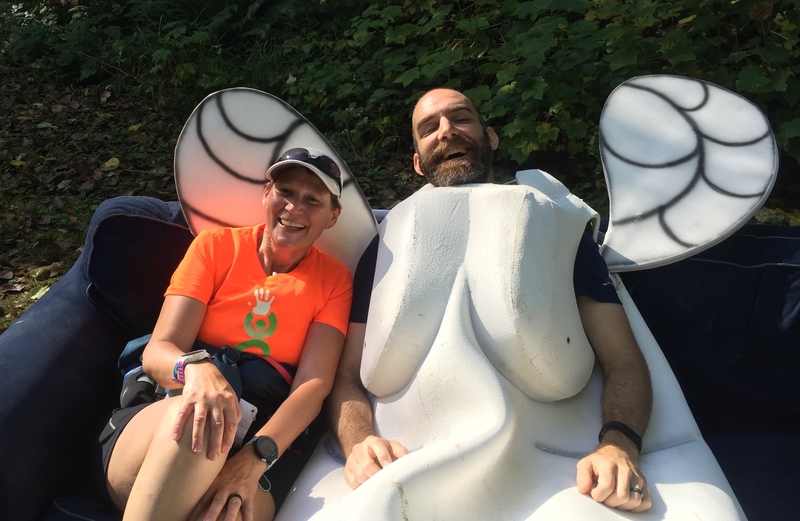 They both covered 13.1 miles of beautiful scenery and were punctuated by delicious food (even if cake probably isn’t as good for you as soup and a sandwich). But the similarities stopped there. The Blerch was as silly as the Smuttynose was serious. I enjoyed the crazy atmosphere at the Blerch yet I was equally comfortable in the more focused atmosphere of the Smuttynose. I don’t want every race to be the same. I don’t want this journey to be the “same race, different place.” I like not knowing what to expect each time I head out for a race. The unknown is part of the adventure. The Beat the Blerch race was inspired by Matthew Inman’s humorous piece on running. Click the image below to read it on the Oatmeal.